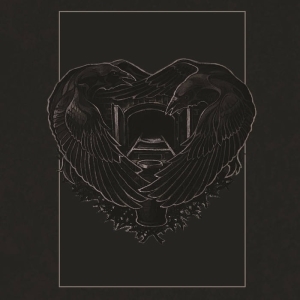 Gallow God’s debut album does live up to our expectations and probably even more. 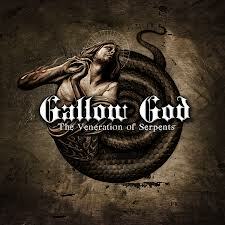 Gallow God’s debut is here! Why the enthusiasm, you might ask? Let me refresh your memory with this little introduction: In 2010, coming out of London, Gallow God caught the scene off guard with the independent release of their EP False Mystical Prose. Needless to say, this 4-track piece gathered positive reviews just about everywhere, including our site. 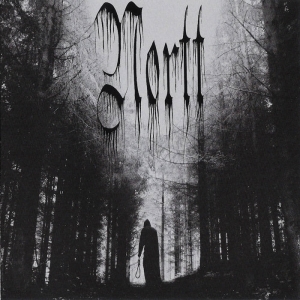 Four tracks weren’t much, but the particular blend of Traditional Doom Metal displayed by Gallow God left a lasting impression and convinced both Psychedoomelic Records and Terror From Hell Records to release the aforementioned EP. Although Traditional Doom in essence, Gallow God’s music piqued our curiosity with the subtle and elegant integration of more extreme elements which sometimes are reminiscent of earlier Anathema or even Thergothon: the band even dared to mix some guttural vocals into one of the songs. And then the hiatus: the band sent a few emails via their guitar player Ricardo Veronese stating that tracks were being written and songs recorded, but then nothing was released. Nothing? Well, not exactly, because in the meantime, Ricardo founded Dea Marica and ended up releasing Ritual of the Banished last year, explaining that it consisted of tracks originally written for Gallow God which didn’t make it to the final cut. And because our sophisticated brains are always hard at work trying to figure things out, we were led to believe that the emergence of Dea Marica was tolling the end of Gallow God. And as we were enjoying the merits of Dea Marica while mourning the loss of what should have been a great band, out of the blue, and totally unexpectedly, here comes The Veneration of Serpents, Gallow God’s long awaited debut full-length. So much for figuring things out. But enough rambling. Obviously, the question is: what does this debut have to offer, and will it live up to all our expectations? When it comes to maintaining suspense, I’m not Hitchcock, so let’s speed up the process: yes, it does live up to our expectations and probably more. Those who have heard False Mystical Prose will be treading familiar grounds. A song like ‘A Misers Land’ will mirror ‘The Emissary’ almost perfectly with its heavy yet elegant riffing and slow, mournful progression. ‘The Cranes of Ibycus’ is as much a funeral dirge as ‘The Sin and Doom of Godless Men’ was, complete with Thergothon-like guitars. The main difference between the two recordings lies in the production that now sounds less coarse and reveals the craftsmanship of the individual musicians in more depth and detail. Speaking of musicians, the bass guitar duties were taken over by Mitch Barrett in the meantime, a change which adds another fresh nuance to tracks like the aforementioned ‘A Misers Land’ or the eponymous ‘The Veneration of Serpents’. Each song is perfectly chiseled with what seems to be an elegant emphasis on Jim Panilio’s skillful drumming. Rather than starting to praise each and every band member, suffice it to say that all of them contribute something of their own and that the sum of their efforts exceeds the individual talents by far. Up to ‘A Misers Land’, you’ll be experiencing the style you used to know from False Mystical Prose with an air of Warning always present. ‘Scarborough Fair’ will eventually come along and shake your foundations, paying homage to the founding fathers of the genre, namely Black Sabbath, and mixing together ‘Embryo’, ‘Orchid’ and other catchier tunes. 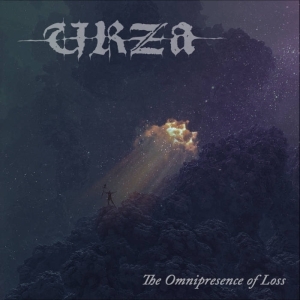 And the last two tracks, despite being labeled Traditional Doom Metal, will take you on delicate funeral processions of the kind that normally only bands like Asunder or Mournful Congregation are able to come up with. Heart-piercing and really moving. If you’re not salivating by now, you’ve probably come here by accident… or was it luck maybe? Either way, the promises have been kept, and even if the divinity may only pertain to the gallows, the cult should certainly gather many devout followers even among those who are not dancing to the rhythm of the wind with a slipknot bracing their necks. Visit the Gallow God bandpage.